Click Here To Request Portable Generator Service Today. RCS Electrical Services is your Fort Myers portable generator repair expert. We sell, service, and repair all types of portable generators. We are certified by Generac, Centurion, Kohler, Briggs and Stratton, Troy Built, GE, Duromax portable generators, Caterpillar, Champion, DeWalt, Firman, Goal Zero, Honda, Kubota, Powermate, Coleman, Westinghouse, Winco, Yamaha, and others. Contact us for all your portable generator needs. Click here to request portable generator repair, sales, or service. Generators, like most mechanical machines, are meant to be used frequently. 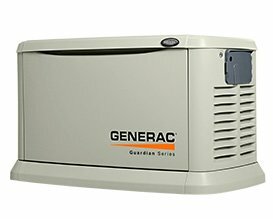 If you have a generator that has been stored for a long time, and it is not being started and ran periodically, chances are it may need repair. Running your portable generator periodically is one of the best things you can do to keep your generator working properly. 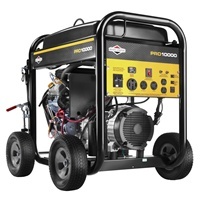 Most portable generators use gasoline for fuel. This fuel is readily available during normal times, but when there is an emergency that disrupts power, gasoline stations are not able to dispense their product. You may have a generator and not be able to use it because of lack of fuel. Gasoline that stays a long time inside a fuel time deteriorates. Often there are sediments and other deposits that form within the tank which can be passed to the carburetor and cause it to malfunction or break down. Because most portable generators are not in use everyday, their fuel tanks may contain contaminated and stale fuel. Gasoline is not generally available when there is a widespread power failure. It is a hazard to store large amounts of gasoline in your garage or other parts of your property. Generators running on gasoline require more maintenance. It is inconvenient and dangerous to refuel generators with gasoline during emergencies, especially at night. Start and run your generator frequently, at least once every two weeks. Change your oil, oil filter and air filter on your generator at least once every 100 hours of service. Turn off generator by closing its fuel supply while running. This allows it to burn all fuel in the fuel line and the carburetor reservoir, keeping free of fuel residue. These fees are for Fort Myers portable generator repair only. Click here for standby generator repair. There is a $99.00 charge for pick up and delivery unless you can bring your generator to our shop. We have used and new portable generators. In the event that you would prefer to buy new, instead of repairing your unit, we will explain the choices that we have so that you can make the decision that is best for you. Fill the form below if you need to request portable generator repair services.